A 35-year-old man admitted drink driving at Morrisons petrol station, Hope Street, Falkirk on December 27 last year. 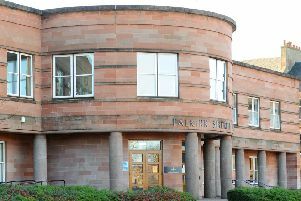 Peter Wilson, 44 Bellvue, Falkirk, gave a reading of 48 microgrammes of alcohol in 100 millilitres of breath when the legal limit is 22 microgrammes. Wilson, who has previous drink driving convictions, was fined £500 and banned for three years.